A big ring for a big problem. Every 15 minutes an elephant is killed for its' ivory. 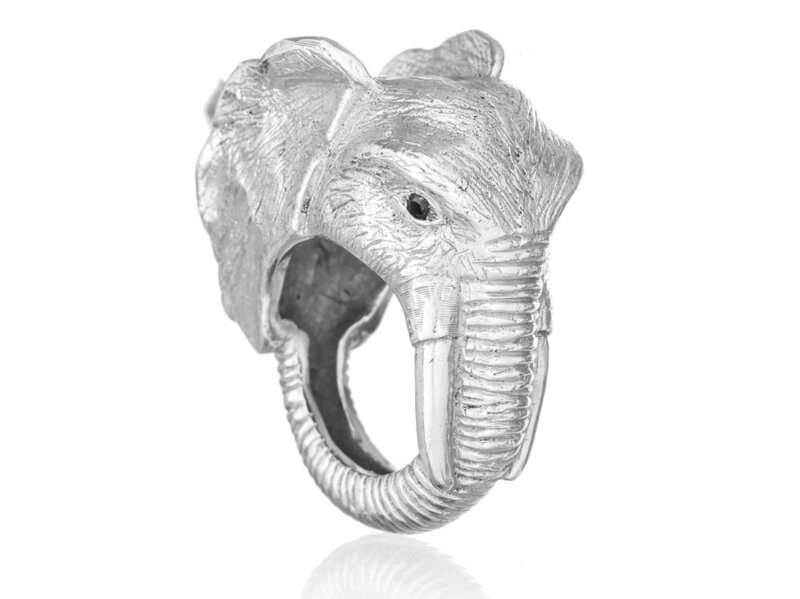 A significant portion of proceeds will go towards Peace4Animals and their ongoing efforts to protect endangered African elephants from extinction. 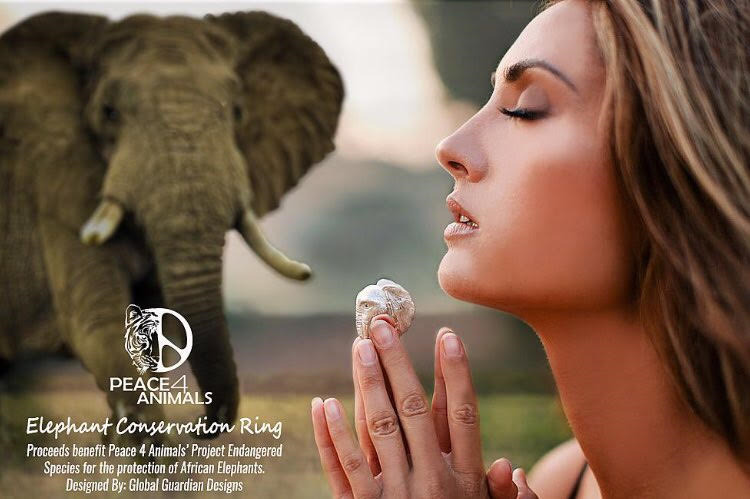 Peace4Animals, a non-profit animal welfare organization was founded by model/actress, philanthropist and filmmaker Katie Cleary in 2012. Peace4Animals has raised tens of thousands of dollars for many animal organizations around the globe in support of the protection of endangered species. Sterling silver ring .925 with real sapphire gemstones for eyes. It comes in the following women's sizes, 6-10.